Christin was referred to me by one of my other brides, Megan, who happened to work with Christin. I was so happy when Christin contacted me in regards to designing her ceremony programs and some other items for her wedding! She explained to me that she was planning her wedding to include vintage details including antique buttons that were handed down to her by her grandmother and would be getting married at the historical Woman's Club in downtown Bakersfield. We first discussed ceremony programs and designed a four layered landscape program that included a cover, ceremony order, wedding party introductions, and thank you's. 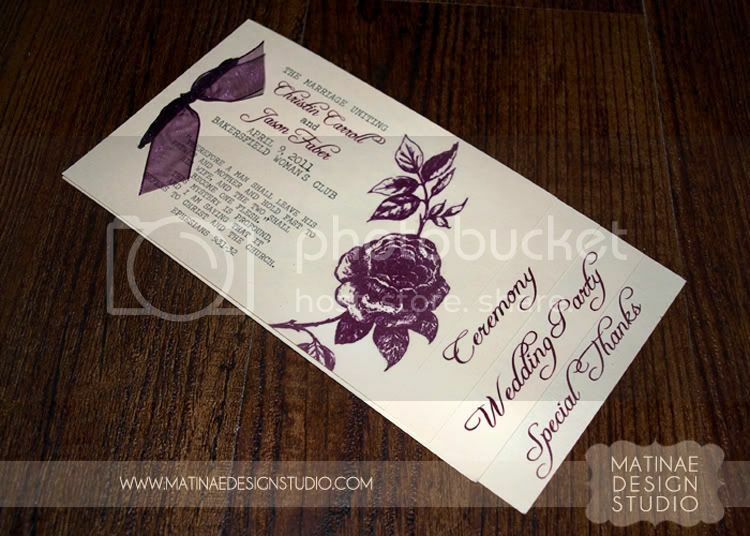 A script font paired with a typewriting font were combined with a vintage illustration of a flower and eggplant ribbon to complete the design. Next was a custom bunting Christin wanted to hang from their sweetheart table at the reception. 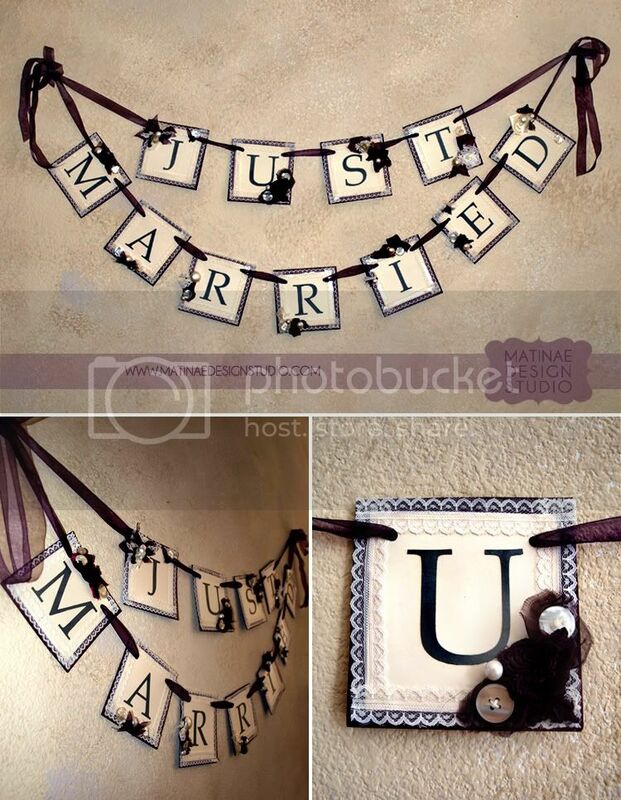 A double strand bunting spelt out "Just Married". Each panel featured vintage buttons, lace that mimicked the lace on Christin's dress and ribbon rosettes. The panels were strung on the same eggplant ribbon that were used on the programs. 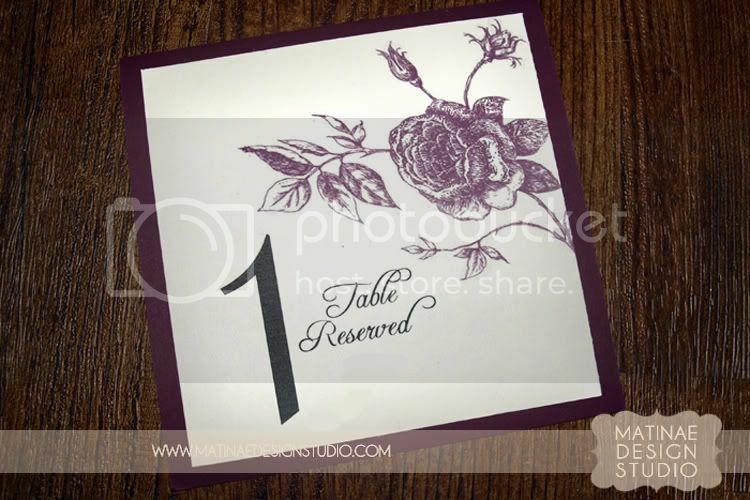 Table numbers were designed as square tent cards layered on eggplant cardstock and featured the vintage flower illustration as well. Christin also had us design her bridal and toss garters. For the bridal garter we once again used materials that mimicked her stunning dress and added in some vintage buttons for detailing. 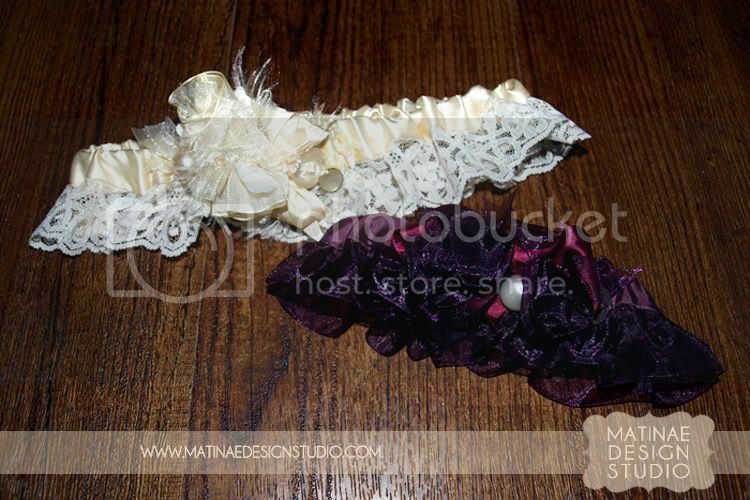 The toss garter was very similar but was made out of eggplant organza and chiffon. Click here to view their wedding and vendors!